If you’ve been reading my blog for a while, you know I’ve had some…struggles with fitness. I get motivated, then unmotivated, lose five pounds, gain ten pounds, commit to exercise…and then commit to Netflix. I have pure intentions, but it’s the execution that gets me every time. So I’ve decided to take a Ben Franklin (we’re already on a nickname basis) approach to fitness. I don’t know much about Ben but I do know that he came up with a list of 13 Virtues through which he “sought to cultivate his character.” That’s all well and good, but the genius of Ben’s plan was that he didn’t do them all at once! Instead, he did one at a time so the task wasn’t quite as overwhelming. 1.) I quit soda. For real this time! (?) I’ve made millions of attempts to kick the habit in the past, but I think it’s for real this time. It’s been about a month and a half since I drank soda (minus one slip up in Phoenix…I was in the desert and had just climbed a mountain and nothing was going to quench my thirst like a diet Pepsi so I don’t blame myself at all) and the cravings have mostly subsided. It took me about a month to stop fantasizing about strolling over to the corner 7-Eleven and purchasing a delicious, ice-cold thirst-quenching diet Pepsi, but aside from the fact that I’m no longer putting a caustic, aspartame-infused beverage in my body, I’m also saving about $60 a month. 2.) I’ve committed to drinking water. My sister got me one of those fancy water bottles as my housewarming gift and I’ve been filling it four times a day. That’s like eight glasses of water a day. I’m not exactly sure what drinking eight glasses of water a day is supposed to do for you but everyone says you’re supposed to drink eight glasses of water a day so that’s what I’m doing. I still think diet Pepsi is a far superior-tasting beverage, but I’m *trying* to like water. So far, it just tastes like a bunch of nothing, but I’ve found it’s quite pleasant to drink out of a bright pink bottle. 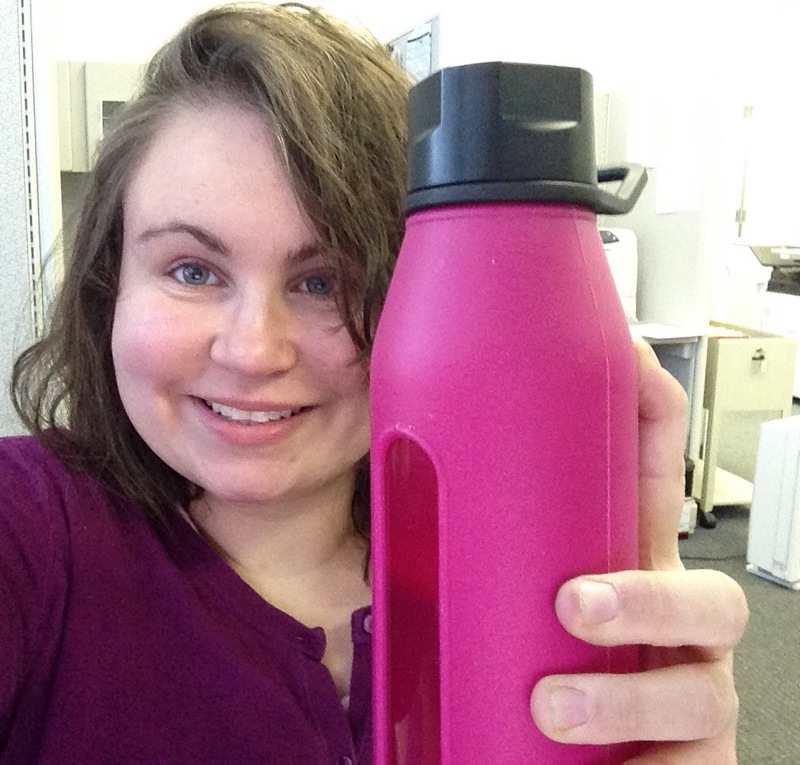 Me and my water bottle. 3.) Sleep. I have a bad habit of watching crime TV into the wee hours of the morning.. and waking up four or five hours later when my alarm goes off. This results in me being all frazzled and rushed in the morning and running to my car with my shoes and brush in hand in a valiant attempt to make it to work on time. But I’ve implemented a new rule: No more iPhone after 9:30 and attempt to get to sleep by 10. I’m still working on this one. I think it’s been about four or five days since I started working on this “virtue” and it will probably take at least a couple more weeks for it to become habit. 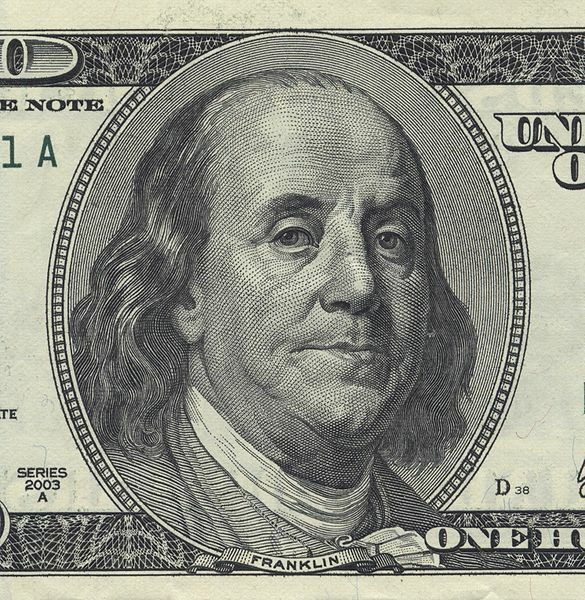 Thank you, Ben Franklin, for all that you did. Here’s a suggestion for your fourth virtue – physical activity. I hate to use the word “exercise.” It seems so unappealing. You don’t even have to add anything into your current routine – at least initially. Get a pedometer and keep track of how many steps you take in a day. After you get an idea of how much you currently walk, then just try to gradually add to it. A few more steps today than yesterday, or more this week than last week. Over time, the additional physical activity you add to your routine will seem a lot more normal, and a lot less like exercise. The feeling of accomplishment as your numbers increase will make you feel good in the short term. And in the long run, it will be good for your metabolism and overall health. The very step I’d been trying to avoid! I do have a pedometer and i think its a good idea to get a baseline to figure out what I’m doing and work up from there. I think maybe I will start in a couple of weeks! Thanks for the comment. Remember to avoid at all cost the use of the word “exercise.” I think it’s actually been proven through unpublished scientific studies that simply uttering the word can potentially lead to a lack of motivation and/or commitment. I am so with you on the sleep! I know….60 a month is like 720 a year which is horrible. It’s really a comfort/routine thing that broke up my day. I still think that pizza and other high fat junk food is amazing with diet Pepsi, but I’m committed to water. Great… Thanks fir discrediting my inspiration…I guess that is why he only did one virtue at a time. I think your inspiration is truly that — inspirational! I’ve been struggling with keeping off the soda, but it really isn’t that hard. I didn’t have a big issue with it, from the start…but I now drink it very, very rarely. I have also been trying to drink more water. I need to start bringing my water bottle with me to work, but that’ll be a constant thing for me to work on. Lastly, I love my sleep. Sleeping is very important. Usually, I’ll go to bed at around 11PM-12AM, but that’s if I have work in the AM. If not, I’ll stay up [playing video games] till 2-3AM…eek! The one I’m working on and it’s the most difficult so far is to quit sugar, all the things with high glycemic index. But it’s like an addiction, so difficult to quit. So true that water tastes quite boring, even more so when you need to drink a lot of it. We found that we can make it more drinkable if we add slices of lemon or sometimes even a few slices of cucumbers. Perhaps for your 4th Virtue you could switch out white bread with whole wheat. Many restaurants and fast food places have whole wheat options too.